In our society we are bombarded with clichés. The mother will take care of the children and the kitchen while the father will go out for work and earn money. The mother will cook for everyone and make the family happy. The The father will not do any cooking, cleaning or diaper changing because it is not a father’s job. Even if there is a working mother, she will come back and provide a hot meal for everyone in the family. The concept of gender equality is not taught early on. These and many more are the norms that we see everyday in our households and in the society. So it doesn’t come as a surprise when our children follow the same. Parents are happy when their girls play with kitchen sets and boys play with cars. But if a boy plays with the kitchen set, this calls for eyebrow raising and questioning. Why? We now live in a society where we talk about gender equality. But doesn’t gender equality start in our own homes? If we need our children to feel they are equal to all, if we need our children to be raised as people who don’t differentiate because of gender- we need to make some changes in our own homes and most importantly- change our mindset. We all want our children to grow up to be thoughtful, sensible, caring and kind, not to forget socially conscious and responsible too. This includes raising them to believe and stand up for gender equality. Children learn the maximum by observing and imitating. So if they see only their mother working in the kitchen and father watching the television, they register that in their minds. Fathers too should not shy away from showing their emotional side. For example, if a child sees both his parents helping with kitchen work as well as with household chores, the child learns that all work is equally divided among both genders. Thus, parents need to become such role models for their kids so as to show them that they themselves believe in gender equality. 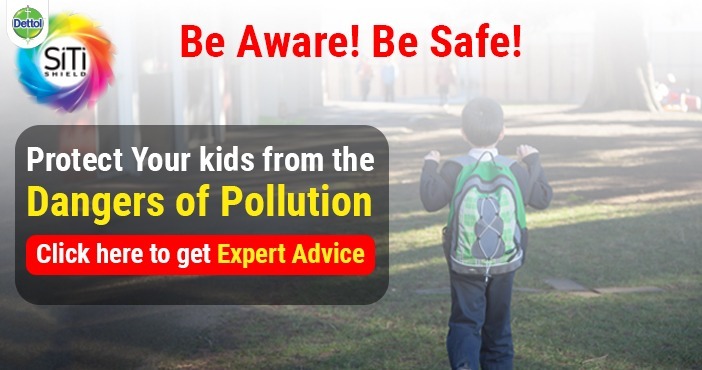 Gone are the days when taking care of the child was the sole responsibility of the mother. The fathers are equally responsible for taking care of their kids. Get the fathers involved in parenting- the sooner the better. Get the fathers to change diapers, make them bathe the child; get the child to sleep and so on. A child gets all the affection and love from the mother since the time of birth. But a father’s affection, love and involvement helps promote emotional and social development. Most of the times parents tend to praise and criticise boys and girls differently. So in a household where there are both boys and girls- the children are present to observe how the parents talk to each of them. So if a boy has been mischievous and gets in trouble the parents might scold him badly and punish him. If the girl has been in trouble, the parents might scold the girl but in a lighter tone. Similarly, if a boy wins awards the parents in a household will be super proud of him and make a big deal about it. But in the same household if a girl wins an award the parents might praise her lightly and not make such a fuss about it. This is gender inequality. Thus praise and criticism should be at similar levels and intensity for both boys and girls. Toys, activities, books, games everything is associated with gender stereotypes. Even before a child is born, parents start picturing painting the colours of the wall as blue if it’s a boy and pink if it’s a girl! 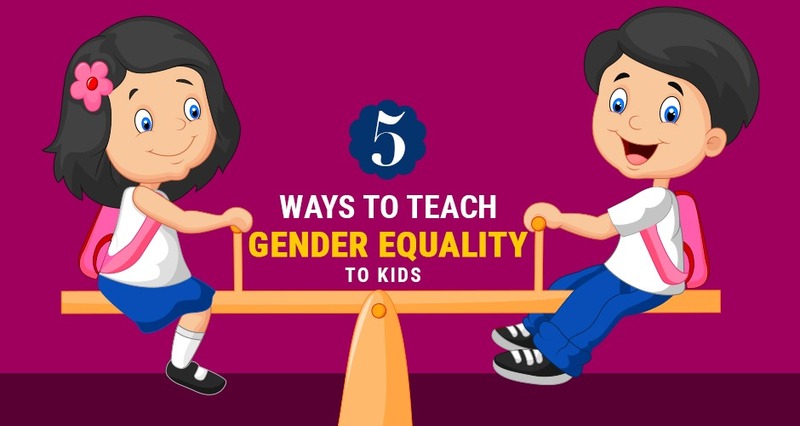 Gender stereotypes play a very big role in teaching small children what the society expects from them. Gender stereotypes are everywhere, especially in the media- in television and in the cartoons that kids watch. As parents you need to make a difference. Not all males that we see take protein and look muscular, not all females walk around in dresses and behave like princesses- it is the parents who need to inculcate in boys and girls that boys can also play with toys that are meant for girls and vice versa. We hear this all the time! If boys run around and play with cars and are rowdy- it is blamed on the typical boy behaviour. Same is the case for girls if they would be choosing dresses or playing in the park. You need to make them realise that girls can be as tough as boys. Not all boys are tough and it is okay for even boys to cry. By categorising their characteristics, we are putting the boys in one box and the girls in another box. We do not want to create separate boxes for them. We need to make them understand that girls can cry and so can boys, boys can take out the garbage and so can girls, boys can drive and so can girls, boys can play football and so can girls. Children become aware of their genders by the time they are 3. They know their identity. Do not let what is permitted and what is not permitted based on the gender of these children. Let your children be free and experience their gender with fluidity.